Short walk to Pereybere beach, restaurants, shops, bus stop, our 2.5 bedroom villa is a secure private complex, with a garden and parking. We have 24 hours security, a very large common swimming pool and a tennis court. Downstairs you have, 1 WC, fully furnished kitchen, living room and dining room. Outside terrace with private garden with direct access to the very large swimming pool. Tennis court also available. Upstairs, the master bedroom with shower room and plenty of closets, 2 bedside tables and a lamp with air conditioning. Second bedroom, has two single beds that can be brought together, air conditioning and plenty of space to store and own bathroom in the bedroom. 3rd bedroom has a sofa bed and an office area. 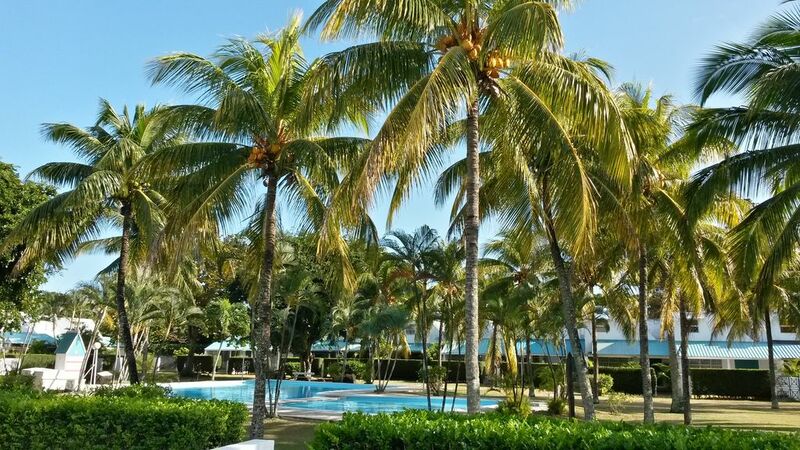 Good location, easy walking distance between Grand Baie and Pereybere Beach. All the properties have a private back garden which faces onto beautiful gardens and a reasonable sized swimming pool. Anisa, the owner, was very helpful when we initially booked and Aldo, the manager of the site, was brilliant, if you had any problems or needed information he was very helpful too. If you want to cook it has all the amenities and not to far from a couple of decent supermarkets, Winner's and Super U. Recommend you hire a car and travel around the island as there is so much to see and beautiful beaches tucked away.